Wonderful square cobalt blue vase with bird perched on a rock. 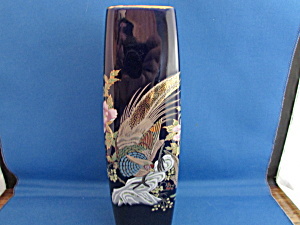 Vase is 9 1/4" tall and has the foil "Interpur" label on the bottom. In excellent condition.